Norway is a unique skiing and snowboarding destination. After all Norway is the birth place to modern Alpine Skiing and the Norwegians are very proud of their heritage - often stating that Norwegian babies are born with skis on their feet! Norway offers consistently good snow from November through to May, wide open pistes, no lift queues, friendly English speaking locals and an excellent standard of accommodation. For beginners and children very few traditional Alpine resorts can come close to the facilities, services that Norway can offer. More importantly even at the height of the season there are no lift queues and the pistes are quiet. Yes, right in the North of Norway there isn't much daylight in December. 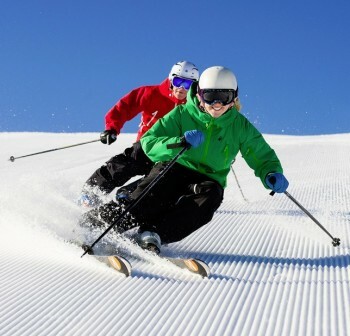 But Trysil and Geilo are much further south and have similar daylight hours to northern Scotland. December is the shortest month with the sun rising between 8 and 9am and setting around 4pm; but in February the sun rises at 7am and sets at 6 to 7pm and in April, the sun rises at 5am and sets at 8pm. In reality daylight in Norway is no different from the UK except from February onwards they get more daylight in Norway. Historically Norway has always been considered expensive. But skiing in Norway is now cheaper than the Alps; lift passes are much cheaper, eating on the mountain is again much cheaper, bar prices however are similar to the Alps, food in the supermarket are now the same as the UK and cheaper than most French Alpine resorts. 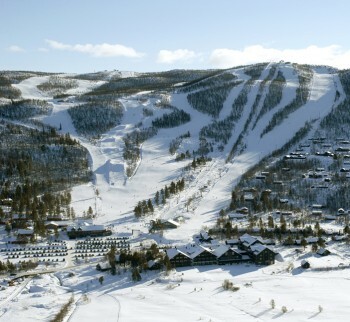 Transfers to Trysil from Oslo Gardemoen Airport are by regular shuttle bus or hire car. If you book flights with Ryan Air then they service two airports south of Oslo and transfer is by hire car. Transfers to Geilo from Oslo Gardemoen are by regular shuttle bus or car hire. From Bergen the recommended transfer is by train - the journey is fabulous through the fjords. Train transfers are also available from Oslo and Sandefjord (Ryan Air call this Oslo Torp). Alternatively by hire car. Transfers to Voss from Bergen are by regular shuttle bus, train or hire car. The journey time is just over 1 hour. All hire cars come fully equipped for driving in winter conditions. The roads in Norway are very good. Everyone drives relatively slowly and this makes for a relaxed journey up to the resort.